Dr Gash is a Senior Lecturer in Sociology and Associate Fellow of the Centre for Comparative Social Surveys (CCSS), City University London. She is responsible for the development, management and delivery of core and optional modules in sociology and research methods for students in Sociology and related disciplines. In addition, she oversees the supervision and assessment of masters and PhDs in Sociology and related disciplines. Dr Gash is Head of International Studies, responsible for liaison with partner universities and Junior Year Abroad, Study Abroad and Exchange students. She is the Departmental Liaison with the Associate Dean of Research Students on the School’s strategy towards achieving DTC status in 2016 and an active member of the Departmental Structuring Inequalities Research Group. She joined City University London in 2013. Before then she worked at both the Department of Sociology and the Department of Social Statistics in the University of Manchester. - The Guardian Newspaper (UK). 'Motherhood 'devastates' women's pay research finds'. 10 July 2009. - Radio interview on Imagine FM (UK) on Motherhood and the pay gap, 30 June 2009. - Irish Independent Newspaper (Ireland). 'Secure job key to male health'. 30 December 2007. - Interview with Swedish Science Radio (Sweden). 20 December 2007. - Medical Tribune (Japan). 20 December 2007. - Elected member of Work, Employment and Society editorial board. - Occasional reviewer for: Feminist Economics, British Journal of Sociology, European Sociological Review, Acta Sociologica, American Sociological Review. Dr Gash's previous and current research interests are in comparative labour market research; with a particular emphasis on the employment conditions and market outcomes of atypical workers, female market integration and welfare regimes. She uses a wide variety of data in her research, both cross-nationally comparative data such as the European Social Survey, as well as longitudinal data such as the Understanding Society data. 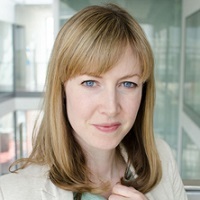 She has been working in this area for some time now, having worked on the topic for two years during her time at the Economic and Social Research Institute, Dublin (1998-2000) at Oxford University where she obtained a DPhil in Sociology (2000-2004) and during her time as a Fellow at the Max Planck Institute for Human Development in Berlin (2004-2006). - The Guardian Newspaper (UK). ‘Motherhood ‘devastates’ women’s pay research finds’. 10th of July 2009. - Radio interview on Imagine FM (UK) on Motherhood and the pay gap, 30th of June 2009. - Irish Independent Newspaper (Ireland). ‘Secure job key to male health’. 30th of December 2007. - Interview with Swedish Science Radio (Sweden). 20th of December 2007. - Medical Tribune (Japan). 20th of December 2007. Dieckhoff, M., Gash, V., Mertens, A. and Romeu Gordo, L. (2016). A stalled revolution? What can we learn from women's drop-out to part-time jobs: A comparative analysis of Germany and the UK. Research in Social Stratification and Mobility, 46, pp. 129–140. doi:10.1016/j.rssm.2016.09.001 . Dieckhoff, M. and Gash, V. (2015). Unemployed and alone? Unemployment and social participation in Europe. International Journal of Sociology and Social Policy, 35(1/2), pp. 67–90. doi:10.1108/ijssp-01-2014-0002 . Dieckhoff, M., Gash, V. and Steiber, N. (2015). Measuring the effect of institutional change on gender inequality in the labour market. Research in Social Stratification and Mobility, 39, pp. 59–75. doi:10.1016/j.rssm.2014.12.001 . Olsen, W., GASH, V., Vandecasteele, L., Walthery, P. and Heuvelman, H. (2010). The gender pay gap in the UK 1995-2007: research report number 1. Government Equalities Office. Olsen, W., Heuvelman, H., Walthery, P. and Gash, V. (2014). The Gender Pay Gap in the UK Labour Market. In Razzu, G. (Ed. ), Gender Inequality in the Labour Market in the UK Oxford: Oxford University Press (UK). ISBN 978-0-19-968648-3. Gash, V. and Inanc, H. (2013). Job Insecurity and the Peripheral Workforce. Economic Crisis, Quality of Work and Social Integration. OUP. Cebrian, I., GASH, V., Moreno, G., O’Connell, P.J. and Toharia, L. (2000). Peripheral labour in peripheral markets? Mobility and working-time within transitional labour markets among women in Ireland and Spain. In O'Reilly, J., Cebrián, I. and Lallement, M. (Eds. ), Working-time changes: social integration through working-time transitions Cheltenham, UK: Edward Elgar Publishing. Dieckhoff, M., GASH, V. and Steiber, N. (2012). Gender Inequalities in Market Risk: A Multilevel Analysis using the EULFS. One-Day Workshop on Estimating and Measuring the Effects of Inequality 15 June, Manchester. Dieckhoff, M. and GASH, V. (2011). Unemployment and Alienated? A Comparative Analysis of Unemployment and Social Participation. European Consortium for Sociological Research Conference 15-17 December, Dublin. Dieckoff, M., GASH, V. and Steiber, N. (2011). Gender Inequalities in Market Risk: A Multilevel Analysis using the EULFS. European Consortium for Sociological Research Conference 15-17 December, Dublin. GASH, V., Romeu-Gordo, L. and Mertens, A. (2011). Women between Part-Time and Full-Time Work: The Influence of Changing Hours of Work on Happiness and Life-Satisfaction. One-Day Workshop on Longitudinal Data Analysis 7 June, Florence. GASH, V., Romeu-Gordo, L. and Mertens, A. (2010). Women between Part-Time and Full-Time Work: The Influence of Changing Hours of Work on Happiness and Life-Satisfaction. One-Day Workshop on Gender, Well-being and Family Life 9 December, Cambridge. Dieckhoff, M. and GASH, V. (2010). Unemployment and Social Participation: A Comparative Analysis using the EU-SILC. Work, Employment and Society Conference 7-9 September, Brighton. GASH, V., Romeu-Gordo, L. and Mertens, A. (2010). Women between Part-Time and Full-Time Work: The Influence of Changing Hours of Work on Happiness and Life-Satisfaction. 5th Annual Congress of the European Economics 24-26 August, Glasgow. Dieckhoff, M. and GASH, V. (2010). Unemployment and Social Participation: A Comparative Analysis using the EU-SILC. CCSR Lunchtime Seminar Series 27 April, Manchester. Dieckhoff, M. and GASH, V. (2010). Unemployment and Social Participation: A Comparative Analysis using the EU-SILC. Annual General Household Survey Users Meeting 17 March, London. GASH, V., Romeu-Gordo, L. and Mertens, A. (2009). Women between Part-Time and Full-Time Work: The Influence of Changing Hours of Work on Happiness and Life-Satisfaction. ISA RC28 meeting on Mobility and Inequality: Intergenerational and Life Course Perspectives 3-6 August, New Haven, Connecticut. Cooke, L. and GASH, V. (2009). Panacea or Pitfall? Women's Part-time Employment and Marital Stability. ISA RC28 meeting on Mobility and Inequality: Intergenerational and Life Course Perspectives 3-6 August, New Haven, Connecticut. Olsen, W., GASH, V., Vandecasteele, L., Heuvelman, H. and Walthery, P. (2009). Gender Pay Gap in the UK 1995-2008. Work Pensions and Labour Economics Group, WPEG 2009 Annual Conference 13-15 July, Nottingham. GASH, V., Romeu-Gordo, L. and Mertens, A. (2009). Women between Part-Time and Full-Time Work: The Influence of Changing Hours of Work on Happiness and Life-Satisfaction. Equalsoc Annual Conference 11-13 May, Berlin. GASH, V., Romeu-Gordo, L. and Mertens, A. (2008). Women between Part-Time and Full-Time Work: The Influence of Changing Hours of Work on Happiness and Life-Satisfaction. Berlin Network of Labour Market Research (BENA) meeting 6 December, Berlin. GASH, V. (2008). Atypical Employment and Life Chances. Equalsoc network meeting on Atypical Employment and Welfare Regimes November, Trento. GASH, V. and Cooke, L. (2008). Panacea or Pitfall? Women's Part-time Employment and Marital Stability. EQUALSOC, Annual Conference 10-12 April, Berlin. GASH, V. (2008). Insider and Outsider Markets: Where not to accept a Temporary Contract. Lower Conference on Job Insecurity and Training 7-8 March, Berlin. GASH, V. (2007). Insider and Outsider Markets: Where not to accept a Fixed-term Contract. EQUALSOC Network Meeting 13-15 December, Milan. GASH, V. (2007). Sacrificing their careers for their Families? An assessment of the Family Penalty in Europe. Equalsoc Network Meeting, Workshop 'Reconciling Work and Family Life' 18-19 October, Dublin. Cooke, L. and GASH, V. (2007). Panacea or Pitfall? Women's Part-time Employment and Marital Stability. European Network on Divorce, Annual Conference 17-18 September, London. GASH, V. (2007). Preferences or Constraints? Identifying Answers from Part-time Workers’ Transitions in Denmark, France and the United-Kingdom. Work, Employment and Society Conference 12-14 September, Aberdeen. GASH, V. (2007). Sacrificing their careers for their Families? An assessment of the Family Penalty in Europe. Work, Employment and Society Conference 12-14 September, Aberdeen. GASH, V. (2007). What have households got to do with markets? Does Secondary Earner Status Explain the working conditions of atypical workers. Work, Employment and Society Conference 12-14 September, Aberdeen. GASH, V. (2007). Preferences or Constraints? Identifying Answers from Part-time Workers’ Transitions in Denmark, France and the United-Kingdom. TransEurope a joint ECSR (European Consortium for Sociological Research) and ESF Conference 1-2 September, Groningen. Cooke, L. and GASH, V. (2007). Panacea or Pitfall? Women's Part-time Employment and Marital Stability. ASA Annual meeting 12-13 August, New York. Cooke, L. and GASH, V. (2007). Panacea or Pitfall? Women's Part-time Employment and Marital Stability. Carework network meeting 11 August, New York. GASH, V. (2007). Preferences or Constraints? Identifying Answers from Part-time Workers’ Transitions in Denmark, France and the United-Kingdom. Annual meeting of Socio-Economics 28-30 June, Copenhagen. GASH, V. (2007). What have households got to do with markets? Does Secondary Earner Status Explain the working conditions of atypical workers. EWERC Seminar Series 30 May, Manchester. GASH, V. (2006). Choices, Constraints or Preferences? Identifying Answers from Part-time Workers’ Transitions. CCSR Seminar Series 14 November, Manchester. GASH, V. (2006). Are Fixed-Term Jobs Bad for your Health? A Comparison of West-Germany and Spain. Sociology Seminar Series 28 October, Manchester. GASH, V., Mertens, A. and Romeu-Gordo, L. (2007). Gesundheitliche Auswirkungen befristeter Verträge in Deutschland und Spanien. Kongresses der Deutschen Soziologischen Gesellschaft für Soziologie in Kassel 2006 9 Oct 2006 – 13 Oct 2006, Kassel, Germany. GASH, V. (2006). Insider and Outsider Markets: Where not to accept a Fixed-term Contract. EQUALSOC Network Meeting 21-23 September, Barcelona. GASH, V., Mertens, A. and Romeu-Gordo, L. (2006). Are Fixed-Term Jobs Bad for your Health? A Comparison of West-Germany and Spain. Sixth European Conference on Health Economic 6-9 July, Budapest. GASH, V., Mertens, A. and Romeu-Gordo, L. (2006). Are Fixed-Term Jobs Bad for your Health? A Comparison of West-Germany and Spain. EQUALSOC Network Meeting 26-28 January, Turin. GASH, V., Mertens, A. and Romeu-Gordo, L. (2005). Are Fixed-Term Jobs Bad for your Health? A Comparison of West-Germany and Spain. Comparative European Studies: Assessing ten years of Sociological Research 25-26 November, Paris. GASH, V. (2005). What is the Relative Status of Fixed-Term Contracts? European Science Foundation Workshop 6-8 October, Brighton. GASH, V. and McGinnity, F. (2005). Temporary Contracts – the New European Inequality? Comparing West Germany and France. EPUnet Conference 30 Jun 2005 – 2 Jul 2005, Colchester. Mertens, A., GASH, V. and McGinnity, F. (2005). The Cost of Flexibility at the Margin. Comparing the Wage Penalty for Fixed-Term Contracts in Germany and Spain using Quantile Regression. LoWER Annual Conference-ZEW 15-16 April, Mannheim. GASH, V. (2004). The Quality of Atypical Employment and the Poverty Risks of Atypical Workers. Combat Poverty Lunchtime Lecture Series 5 April, Dublin. GASH, V. (2003). Bridge or Trap? The Integrative Transitions of Atypical Workers to the Standard Employment Contract in Denmark, France and the United-Kingdom. ISA RC28 meeting on Education and Social Inequality 22-24 August, New York. GASH, V. (2003). Le Travail Précaire: Une Analyse Comparative du Danemark, de la France et des Royaumes Unis. LSQ, CREST June, Paris. GASH, V. (2003). The Transitions of Atypical Workers to the Standard Employment Contract. Les Données Longitudinales dans L’Analyse du Marché du Travail 21-23 May, Marseille. GASH, V. (2003). The Exclusionary Transitions of Temporary and Part-time Worker. SFI March, Denmark. GASH, V. (2003). Flexible Labour Markets: Qualities of Employment, Equalities of Outcome. Combat Poverty Agency Seminar Series February, Dublin. GASH, V. (2002). Divided Workers: Labour Market Segmentation in Denmark, France and the UK. ECSR Summer School August, Amsterdam. GASH, V. (2001). Flexible Labour Markets: Qualities of Employment, Equalities of Outcome? The Differential Impact of Regime Type. 2001 Work, Employment and Society Conference 10-12 September, Nottingham. Conniffe, D., GASH, V. and O’Connell, P.J. (2000). Evaluating Programmes: Experiments, Non-Experiments and Propensity Scores. The Economic and Social Research Institute Seminar March, Dublin. GASH, V., Mertens, A. and Romeu-Gordo, L. (2012). The Influence of Changing Hours of Work on Women’s Life-Satisfaction. The Manchester School, 80(1), pp. 51–74. GASH, V. and Cooke, L.P. (2010). Wives’ part-time employment and marital stability in Great Britain, West Germany and the United States. Sociology, 4(6), pp. 1091–1108. doi:10.1177/0038038510381605 . GASH, V. (2009). Sacrificing their Careers for their Families? An Analysis of the Family Pay Penalty in Europe. Social Indicators Research, 93(3), pp. 569–586. GASH, V. (2008). Constraints or Preferences? Identifying Answers from Part-time Workers’ Transitions in Denmark, France and the United-Kingdom. Work, Employment and Society, 22(4), pp. 655–674. doi:10.1177/0950017008096741 . GASH, V. (2008). Bridge or trap? To what extent do temporary workers make more transitions to unemployment than to the standard employment contract. European Sociological Review, 24(5), pp. 651–668. GASH, V. (2008). Women and employment: changing lives and new challenges. British Journal of Industrial Relations, 21(1), pp. 196–198. GASH, V. (2008). Joint Book Review of Blossfeld, H-P et al. (2006) ‘Globalization, Uncertainty and Men’s Careers: An International Comparison’ Cheltenham: Edward Elgar. and Blossfeld, H-P et al. (2006) ‘Globalization, Uncertainty and Late Careers in Society’ Abingdon: Routledge. Sociology, 42(1), pp. 187–189. Mertens, A., GASH, V. and McGinnity, F. (2007). The cost of flexibility at the margin. Comparing the wage penalty for fixed-term contracts in Germany and Spain using quantile regression. Labour, 21(4-5), pp. 637–666. GASH, V., Mertens, A. and Romeu-Gordo, L. (2007). Are fixed-term jobs bad for your health? A comparison of Spain and Germany. European Societies, 9(3), pp. 429–458. GASH, V. and McGinnity, F. (2007). Fixed-term contracts – the new European inequality? Comparing West Germany and France. Socio-Economic Review, 5(3), pp. 467–496. Gash, V., Mertens, A. and Romeu-Gordo, L. (2007). Gesundheitliche Auswirkungen befristeter Verträge in Deutschland und Spanien. Die Natur der Gesellschaft - Verhandlungen des 33 pp. 4418–4428. GASH, V. (2006). Are atypical workers getting a raw deal. Action on Poverty Today, 11, pp. 14–14. Gash, V. (2003). The Transitions of Atypical Workers to the Standard Employment Contract. Les Données Longitudinales dans L’Analyse du Marché du Travail. O’Connell, P.J. and GASH, V. (2003). The effects of working-time, segmentation and labour market mobility on wages and pensions in Ireland. British Journal of Industrial Relations, 41(1), pp. 71–95. GASH, V. and Conniffe, D. (2000). Evaluating programmes: Experiments, non-experiments and propensity scores. The Economic and Social Review, 31(4), pp. 283–308. Olsen, W., Gash, V., Sook, K. and Zhang, M. (2018). The gender pay gap in the UK: evidence from the UKHLS. UK: Government Equalities Office. ISBN 978-1-78105-875-6. GASH, V. and Dieckhoff, M. (2012). Unemployed and alienated? A comparative analysis of unemployment and social participation in Europe. Manchester, UK: The Cathie Marsh Centre for Census and Survey Research. GASH, V., Mertens, A. and Romeu-Gordo, L. (2010). Women between part-time work and full-time work: the influence of changing hours of work on happiness and life-satisfaction. Berlin: DIW. Olsen, W., Heuvelman, H., GASH, V., Vandecasteele, L. and Walthery, P. (2010). Policy-related factors offsetting women’s low pay in the UK, 2004-7: research report number 2. Government Equalities Office. Olsen, W., Heuvelman, H., GASH, V., Vandecasteele, L. and Walthery, P. (2010). The gender pay gap in the UK 1995-2007: research findings. London: Government Equalities Office. GASH, V., Mertens, A. and Romeu-Gordo, L. (2009). Women between part-time work and full-time work: the influence of changing hours of work on happiness and life-satisfaction. Harriet Taylor Mill-Instit für Ökonomie und Geschlechterforschung,. GASH, V., Mertens, A. and Romeu-Gordo, L. (2009). Women between part-time work and full-time work: the influence of changing hours of work on happiness and life-satisfaction. Manchester, UK: The Cathie Marsh Centre for Census and Survey Research. Olsen, W., GASH, V., Vandecasteele, L. and Walthery, P. (2009). The gender pay gap in the UK 1995-2007: research design. London: Government Equalities Office. GASH, V. (2008). Sacrificing their careers for their families? An analysis of the family pay penalty in Europe. Manchester, UK: The Cathie Marsh Centre for Census and Survey Research. Cooke, L.P. and GASH, V. (2007). Panacea or pitfall? Part-time employment and marital stability in Britain, West Germany and the United States..
GASH, V. (2007). Constraints or preferences? Identifying answers from part-time workers’ transitions in Denmark, France and the United-Kingdom. Manchester, UK: The Cathie Marsh Centre for Census and Survey Research. GASH, V., Mertens, A. and Romeu-Gordo, L. (2006). Are fixed-term jobs bad for your health? A comparison of West-Germany and Spain. Nurnberg, Germany. GASH, V. (2005). The labour market outcomes of atypical employment in Ireland and Denmark. Dublin: CPA. GASH, V. and McGinnity, F. (2005). Temporary contracts – the new European inequality? Comparing West Germany and France. Berlin: Max Planck Institute for Human Development. Mertens, A., GASH, V. and McGinnity, F. (2005). The cost of flexibility at the margin. Comparing the wage penalty for fixed-term contracts in Germany and Spain using Quantile Regression. Berlin: Max Planck Institute for Human Development. GASH, V. (2004). Bridge or trap? To what extent do temporary workers make more transitions to unemployment than to the standard employment contract? Berlin: Max Planck Institute for Human Development. GASH, V. and O’Connell, P.J. (2000). The Irish graduate labour market: a six year follow-up survey of third level graduates from 1992. Dublin: ESRI. Postgraduate taught course for students completing an MSc in Social Statistics and Research Methods and MSc in Social Change. Postgraduate taught course for students completing an MSc in Social Statistics and Research Methods. Annual General Meeting of the Royal Statistical Society. RSS Building, London (2013). Work, Employment and Society Conference. Warwick (2013). Description: Dieckhoff, M., Gash, V., Romeu Gordo, L., & Mertens, A. (2013). Household composition and labour supply to atypical jobs in the service sector: a comparative study of Germany and the UK. Nuffield College Seminar Series on the Global Economic Crisis. Oxford University, Oxford (2013). Departmental Seminar Series on the Global Economic Crisis. Dept of Social Policy, Oxford University, Oxford (2013). Description: Presentation: Gash, V. and Hande Inanc (2013) “Job Insecurity and the Peripheral Workforce”. Vortrag im Rahmen 24. Annual Conference, Society for the Advancement of Socio-Economics (SASE). Boston, USA (2012). Description: Dieckhoff, M., Gash, V., Romeu Gordo, L., & Mertens, A. (2012). Household composition and labour supply to atypical jobs in the service sector: a comparative study of Germany and the UK. Vortrag im Rahmen des IZA Workshops "Non-Standard Employment in a Comparative Perspective". Bonn (2012). Description: Dieckhoff, M., Gash, V., Romeu Gordo, L., & Mertens, A. (2012). Household composition and labour supply to atypical jobs. Methods@Manchester What is series. University of Manchester (2012). European Consortium for Sociological Research Conference. University College, Dublin (2011). Description: Dieckhoff, M. and Gash, V. (2011) “Unemployment and Alienated? A Comparative Analysis of Unemployment and Social Participation”. Description: Dieckhoff, M., Gash, V. and Steiber, N. (2011) “Gender Inequalities in Market Risk: A Multilevel Analysis using the EULFS”. One-Day Workshop on Estimating and Measuring the Effects of Inequality, a methods@manchester event. Manchester (2011). One-Day Workshop on Longitudinal Data Analysis. Florence (2011). Description: Gash, V., Romeu-Gordo, L. and Mertens, A. (2011) “Women between Part-Time and Full-Time Work: The Influence of Changing Hours of Work on Happiness and Life-Satisfaction”. One-Day Workshop on Gender, Well-being and Family Life. Cambridge (2010). Description: Gash, V., Romeu-Gordo, L. and Mertens, A. (2010) “Women between Part-Time and Full-Time Work: The Influence of Changing Hours of Work on Happiness and Life-Satisfaction”. Work, Employment and Society Conference. University of Brighton (2010). Description: Dieckhoff, M. and Gash, V. (2010) “Unemployment and Social Participation: A Comparative Analysis using the EU-SILC”. 25th Annual Congress of the European Economics. Glasgow, Scotland (2010). CCSR Lunchtime Seminar Series. University of Manchester (2010). Annual General Household Survey Users Meeting. London, UK (2010). Description: Dieckhoff, M and Gash, V. (2010) “Unemployment and Social Participation: A Comparative Analysis using the EU-SILC”. Methods@Manchester What is series. University of Manchester (2010). ISA RC28 meeting on Mobility and Inequality: Intergenerational and Life Course Perspectives. Yale University, New Haven, Connecticut (2009). Description: Gash, V., Romeu-Gordo, L. and Mertens, A. (2009) “Women between Part-Time and Full-Time Work: The Influence of Changing Hours of Work on Happiness and Life-Satisfaction”. Description: Cooke, L and Gash, V. (2009) ‘Panacea or Pitfall? Women's Part-time Employment and Marital Stability’. Equalsoc Annual Conference. Berlin (2009). Work Pensions and Labour Economics Group, WPEG 2009 Annual Conference. University of Nottingham (2009). Description: Olsen, W., Gash, V., Vandecasteele, L., Heuvelman, H., and Walthery, P. ‘Gender Pay Gap in the UK 1995-2008’. Berlin Network of Labour Market Research (BENA) meeting. Berlin (2008). Description: Gash, V., Romeu-Gordo, L. and Mertens, A. (2008) “Women between Part-Time and Full-Time Work: The Influence of Changing Hours of Work on Happiness and Life-Satisfaction”. Equalsoc network meeting on Atypical Employment and Welfare Regimes. Trento (2008). Description: Gash, V. (2008) ‘Atypical Employment and Life Chances’. EQUALSOC, Annual Conference. Berlin (2008). Description: Cooke, L and Gash, V. (2008) ‘Panacea or Pitfall? Women's Part-time Employment and Marital Stability’. Lower Conference on Job Insecurity and Training. Berlin (2008). Description: Gash, V. (2008) “Insider and Outsider Markets: Where not to accept a Temporary Contract”. Equalsoc Network Meeting, Workshop 'Reconciling Work and Family Life'. Dublin (2007). Description: Gash, V. (2007) ‘Sacrificing their careers for their Families? An assessment of the Family Penalty in Europe’. European Network on Divorce, Annual Conference. London, UK (2007). Description: Cooke, L and Gash, V. (2007) ‘Panacea or Pitfall? Women's Part-time Employment and Marital Stability’. TransEurope a joint ECSR (European Consortium for Sociological Research) and ESF Conference. Groningen (2007). Description: Gash, V. (2007) ‘Preferences or Constraints? Identifying Answers from Part-time Workers’ Transitions in Denmark, France and the United-Kingdom’. Work, Employment and Society Conference. Aberdeen (2007). Description: Gash, V. (2007) ‘What have households got to do with markets? Does Secondary Earner Status Explain the working conditions of atypical workers’. ASA Annual meeting. New York (2007). Carework network meeting. New York (2007). Annual meeting of Socio-Economics. Copenhagen (2007). EWERC Seminar Series. University of Manchester (2007). Institute of Employment Research (IAB). Nurnberg, Germany (2007). Description: Guest Lecture: ‘Insider and Outsider Markets: Where not to accept a Fixed-term Contract’. EQUALSOC network meeting in Milan. Milan (2006). Description: Gash, V. (2006) ‘Insider and Outsider Markets: Where not to accept a Fixed-term Contract’. CCSR Seminar Series. University of Manchester (2006). Description: Gash, V. (2006) Choices, Constraints or Preferences? Identifying Answers from Part-time Workers’ Transitions. Sociology Seminar Series. University of Manchester (2006). Description: Gash, V. (2006) Are Fixed-Term Jobs Bad for your Health? A Comparison of West-Germany and Spain”. EQUALSOC network meeting in Barcelona. Barcelona (2006). Sixth European Conference on Health Economics. Budapest (2006). Description: Gash, V. Mertens A. and Romeu-Gordo L. (2006) “Are Fixed-Term Jobs Bad for your Health? A Comparison of West-Germany and Spain”. EQUALSOC Network meeting. Turin (2006). Annual Conference of the European Consortium for Sociological Research (ECSR) for the conference entitled: Comparative European Studies: Assessing ten years of Sociological Research. Paris (2005). Description: Gash, V. Mertens A. and Romeu-Gordo L. (2005) “Are Fixed-Term Jobs Bad for your Health? A Comparison of West-Germany and Spain". the European Science Foundation Workshop. Sussex University, Brighton (2005). LoWER Annual Conference-ZEW. Mannheim (2005). Description: Presentation: Mertens, A., Gash, V., & McGinnity, F. (2005) “The Cost of Flexibility at the Margin. Comparing the Wage Penalty for Fixed-Term Contracts in Germany and Spain using Quantile Regression”. Combat Poverty Lunchtime Lecture Series. Dublin (2004). ISA RC28 meeting on Education and Social Inequality. New York (2003). Description: Gash, V. (2003) “Bridge or Trap? The Integrative Transitions of Atypical Workers to the Standard Employment Contract in Denmark, France and the United-Kingdom”. Description: Gash, V. (2003) “Le Travail Précaire: Une Analyse Comparative du Danemark, de la France et des Royaumes Unis”. Combat Poverty Agency Seminar Series. Dublin (2003). ECSR Summer School. Amsterdam (2002). 2001 Work, Employment and Society Conference. Nottingham (2001). The Economic and Social Research Institute. Dublin (2000). Description: ESRI Seminar Paper: Conniffe, D., Gash, V. and O’Connell P.J. (2000) “Evaluating Programmes: Experiments, Non-Experiments and Propensity Scores”.